the Founder of Radical Safety. Make this year's meeting radically different. Are your people frustrated with mounting regulations alongside continuing field incidents? Do you maintain implementation of safety programs while seeing the same, year-over-year, results? 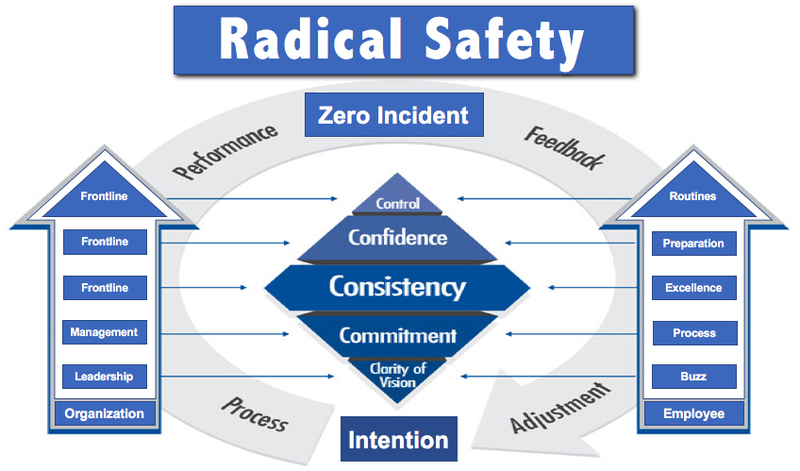 Radical Safety is an approach that is the opposite of conventional wisdom. 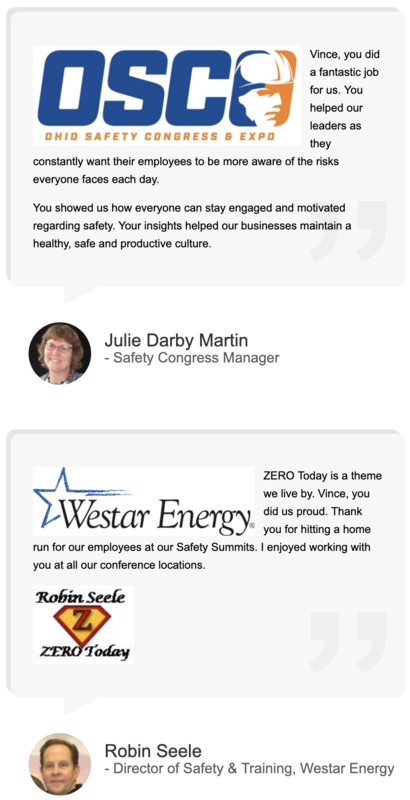 Vince Poscente stands for a long-term impact within a safety conscious culture. While other speakers focus on avoiding mistakes and embracing additional policies, Vince goes directly at the heart of the neuroscience of safety. "When people change their minds, they change their results." Clarity - an "emotional buzz" connection to job performance. Commitment - the shift from episodic buy-in to continuous commitment. Consistency - an itemized approach physical, technical, mental and financial preparedness. Confidence - the relationship of fear and confidence; directly tied to peak job performance. Control - ideal routines are the cornerstone of superior and safe outcomes. 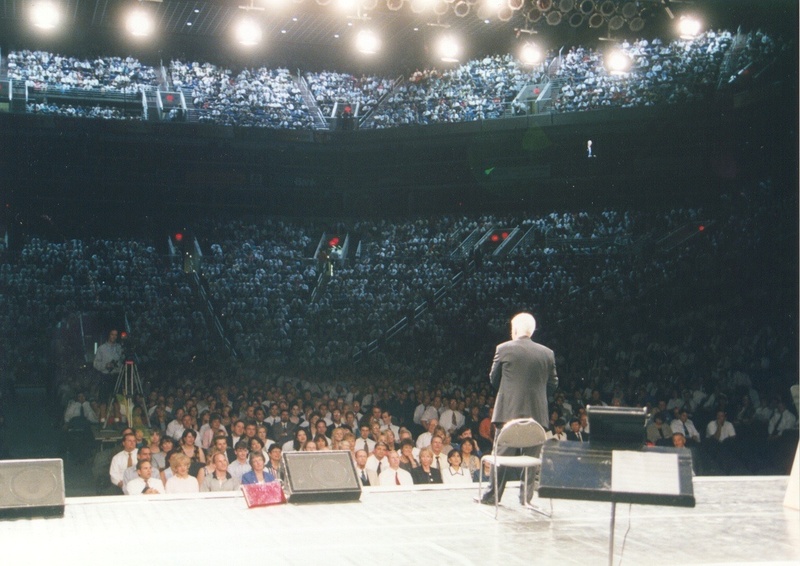 Vince Poscente is a hall of fame speaker in the USA and Canada. He is a New York Times bestselling author and is rated by Meetings and Conventions as a Top 10 speaker in the world. 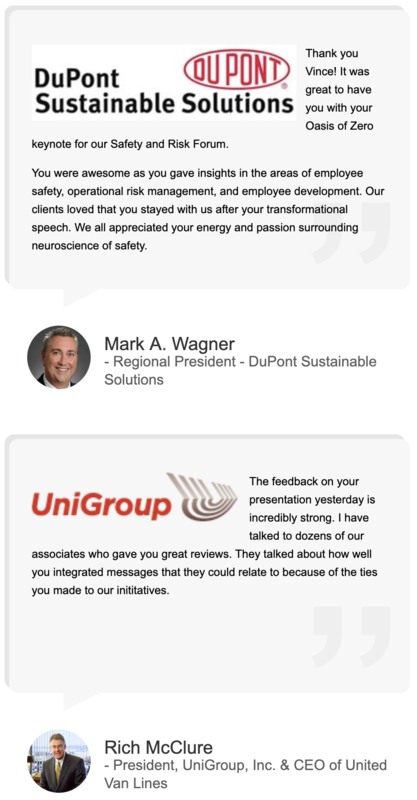 Check out his speeches for Vince to help you have your best safety meeting ever. 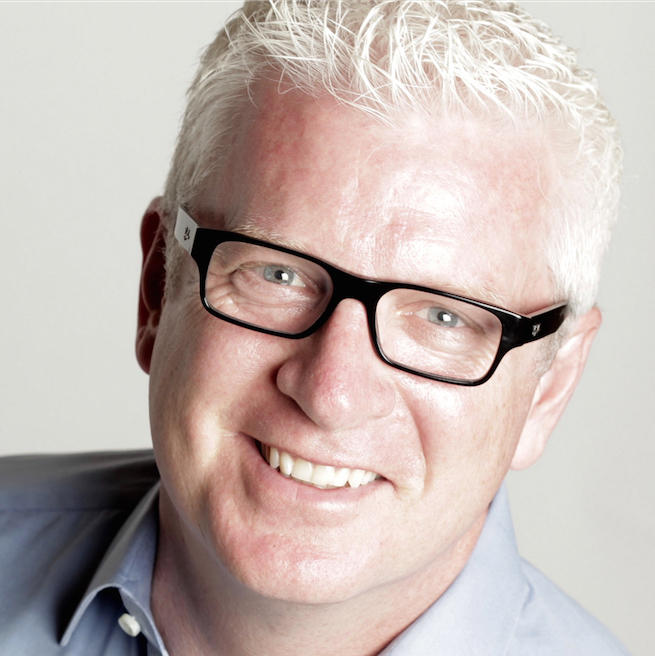 Neuroscience of Performance Expert - Vince Poscente. Your audience will experience a motivational keynote full of practical tools for the safety mindset. 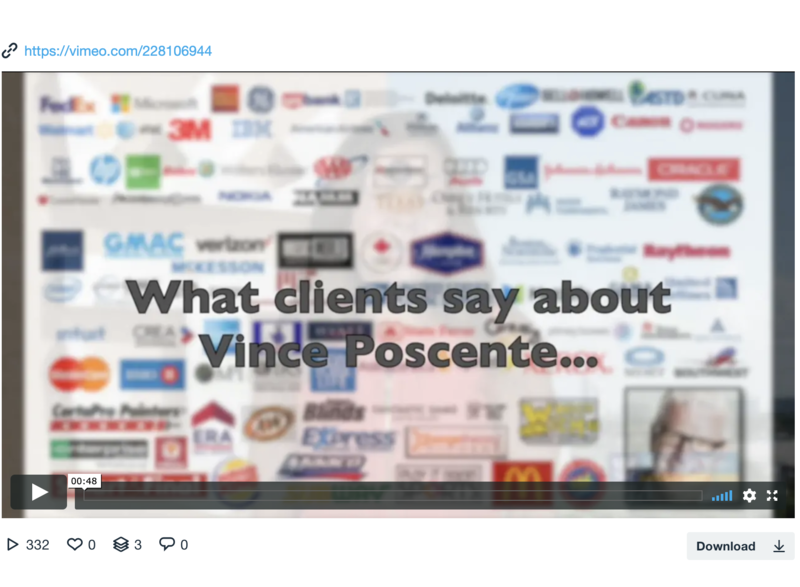 In 45 seconds, here's what 12 people have to say about the value Vince Poscente brought to their meetings. Radical Safety is more than just a keynote. It is a solution oriented formula dedicated to long-term, company-wide impact. Book your Radical Safety Keynote Now!